in the Star Wars universe. In the text, we’re given a glimpse at some of the other names that Cassian has worked under while out in the field. 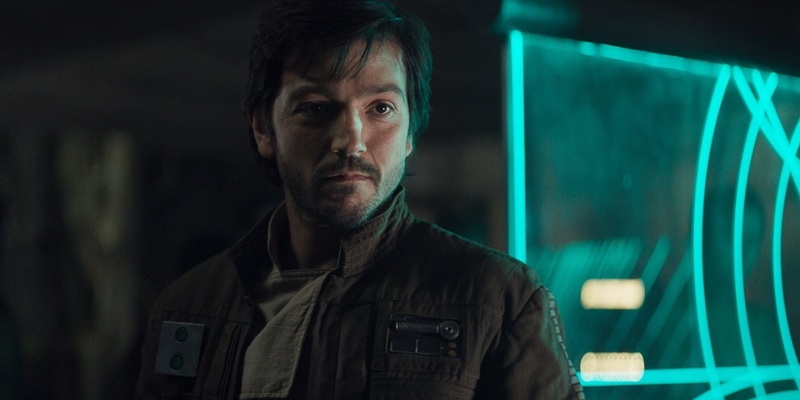 When Andor was working in disguise as a government agent on Ord Mantell, he was known as “Willix.” When Rogue One was first in pre-production, a rumor circulated that actor Diego Luna would be playing a character named Cassein Willix. On another mission, Andor was called “Aach” while acting as a contact for a senator on Darknell. Cassian was also known as “Joreth Sward” when he went undercover and assisted Imperial Admiral Grendreef. Interestingly enough, Andor has also used the alias called “Fulcrum” while incognito. While working as a recruiter for the Rebel Alliance in the Albarrio sector, Cassian used the codename “Fulcrum”. For fans of Star Wars Rebels, this name should come as no surprise, given that characters like Ahsoka Tano and Agent Kallus have also used the same codename while working with the Rebel Alliance. With Star Wars Rebels continuing on Disney XD, we might learn more about a Rogue One & Star Wars Rebels connection potentially revealed in future episodes.